Indonesia is tropical country that have a lots of industry material which are could be produce for furniture and handicraft product. We all know that furniture is related to wooden material, but have you ever know about natural rattan and natural fiber material? Indonesia rattan is one of the biggest furniture industries that product furniture made from natural rattan. In Indonesia we easily found water plant ‘Enceng Gondok’, and in English it called Water Hyacinth. It actually a waste and people usually did not use it for anything. 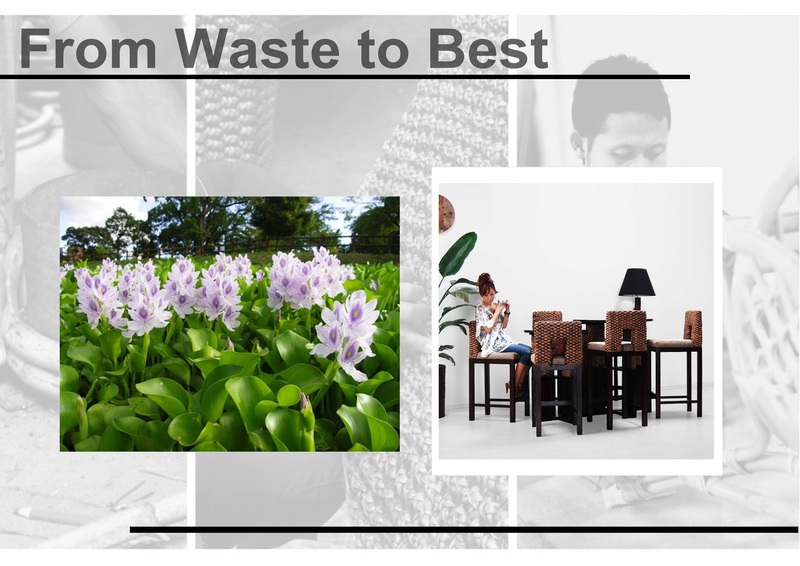 But now, we can find a lot of natural fiber furniture made from Water Hyacinth. We could make sofa, arm chair, even bed set with modern style but still bring natural ambience to your home furnishing. Easiest way to go greener your home furnishing is to put some of natural material furniture, such as natural rattan or natural fiber. And because they are made from plants and the harmless shedding of animals, natural fibers are free of toxins. It is amazing that something from waste become best product and surprisingly beautiful.